The Sorceress is an interesting class. They have virtually no armor and their HP is relatively low in comparison to other classes. They're squishy, like Archers are. On the other hand, they're very powerful with their magical attacks. They don't have the overall highest DPS of the game classes as Paladins, Warriors, and Archers can all potentially out-damage them. They do, however, have several perks. Their elemental attacks allow them to hit enemy weaknesses to improve their damage. On top of that, they have various beneficial status effects like slowing or freezing enemies or lighting them on fire for damage over time. Their Mystic skills also have fun effects, from time manipulation to holding monsters in place with a black hole. As a whole, their skills are flashy and impressive-looking. 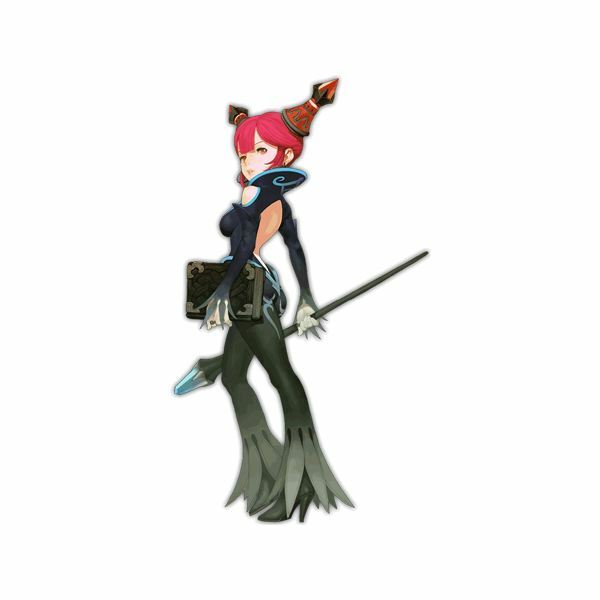 Sorceresses use a staff as their primary weapon, and have a choice of three types of secondary weapons. Orbs have an attack that swirls around you and provide a bonus to critical hit rate. Puppets summon a shadow in front of you for an attack and give a bonus to maximum mana. Grimoires are a physical attack and provide a bonus to mana regeneration. 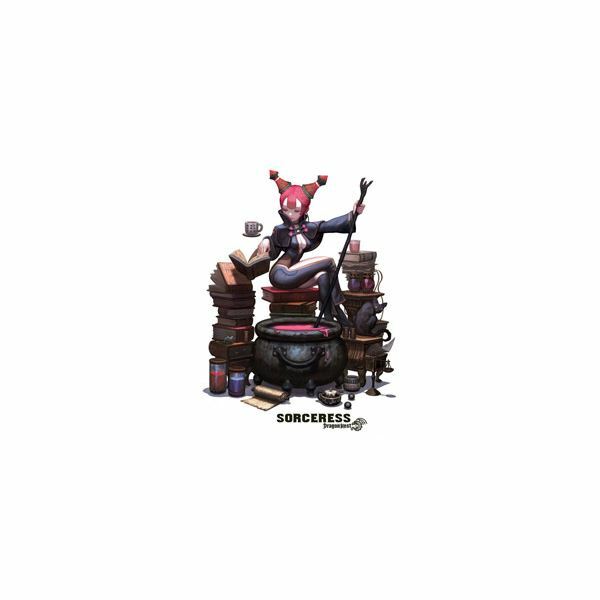 At level 15 the Sorceress is given the ability to advance to a subclass. 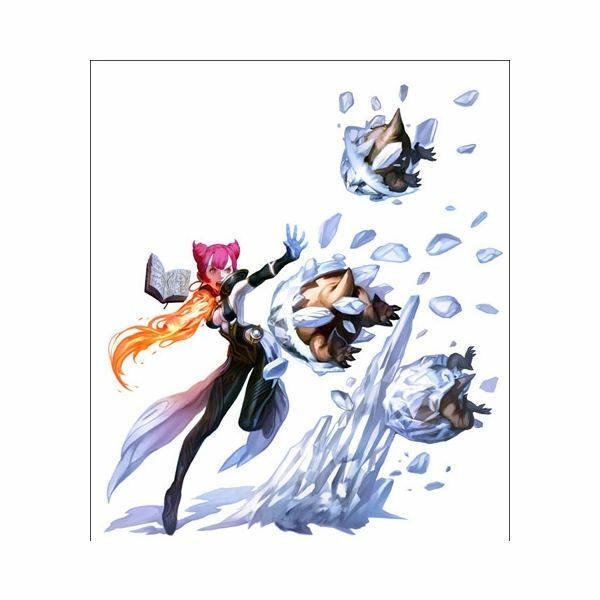 Their subclasses are the Elementalist, who specializes in elemental attacks; and the Mystic, who works primarily in gravity, time, and laser-looking attacks. The third subclass, Warlock, is not yet released. Prior to level 15, you have plenty of SP to max anything you want. At level 15 when you advance, you get a free SP reset, meaning you can fix build mistakes made early on. After level 15, SP resets in the Cash Shop cost almost $20 in NX cash, making mistakes costly. Having a wide variety of skills is better than having a few powerful skills. This holds doubly true for Sorceresses, who have virtually no damage ability with regular attacks. The DNArmory Skill Planner is an excellent resource for making custom builds and estimating SP costs. High MP and mana regeneration means you can constantly spam skills. Elemental damage lets you hit elemental weaknesses on your enemies. Gravity and Time magics help stun and hold foes in place. Good damage potential in mid-range combat. Low HP and Armor means you can die easily if you get caught in a mob of enemies. Elemental damage can backfire if you lack the right element to hurt the enemy. There's little to help you in close range combat and Archers can out-range you in PvP. Status effects can be hit or miss and while they're not a primary focus of your class, it's still a bit of a let down. Fire Burst is a level 1 skill of the Fire element and costs 3 SP per level to upgrade. It shoots a short-range blast of fire that knocks back enemies and deals fire damage. It's useful to level pre-15, but if you advance as an Elementalist it gets less useful when better fire skills are learned. 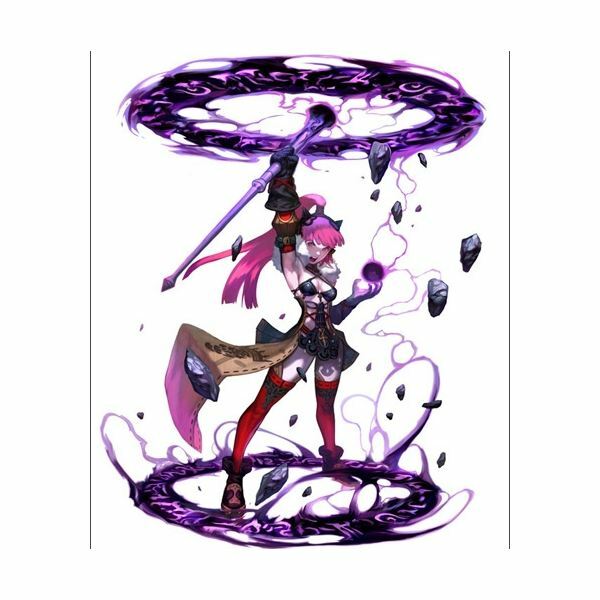 Wheeling Staff is another level 1 skill, and is physical damage rather than magical. It costs 3 SP per level to upgrade. Wheeling Staff is a short dash followed by a staff twirl that can hitstun enemies and knock them away. More useful for stopping mobs from attacking you than as an attack skill itself, the more skills you obtain the less you'll ever find yourself using it. Stiletto Dance is level 1, passive, and has no upgrades. It's just your simple "attack a downed enemy" move. Right-click on a knocked down enemy to stomp on them and deal some damage. Witch Slap is level 1, passive, and has no upgrades. It's also a simple move — it's your default right-click attack. It changes depending on your secondary weapon. It's a pre-req for Air Strike, but that's unimportant because you can't NOT have it. Glacial Spike is a level 3 Ice spell, that costs 8 SP to learn and 3 to upgrade. It shoots a close-range burst of ice at nearby enemies. It does decent damage for a low-level skill and it has a chance to freeze enemies. Frozen enemies can't move and if you hit them hard enough to break them out, they take extra damage. Blink is level 1, passive, and the 2 SP upgrades make it have a shorter cooldown. It's your default dash. Double-tap or shift-tap a directional key to teleport a short distance in that direction. You avoid all attacks in the intervening space and it's invaluable for escaping mobs of enemies. It's also the pre-req for Power Blink. Air Strike is a level 4 passive ability that allows you to physically attack while jumping. It doesn't really do much and the SP is better used in other skills. Toxic Spray is level 5, costs 8 SP to learn and 3 to level. It's Dark elemental, even though it's effect is poison. You launch a few globs of poison in an arc which you can aim up to launch further. These burst on the ground and create patches of damaging poison that can stunlock minor enemies. It can also, of course, poison enemies. Rising Blast is level 5 and is your standing up attack. Right-click while on the ground and you jump to your feet, blasting enemies away. Invaluable for recovery and escape. Knee Jerk is level 6. It's the common "hit a stunned enemy" skill all classes get. Right-click near a stunned enemy to do a more powerful special attack on them. Generally not worth it. Charged Missile is level 8. It changes your regular rapid-fire spell attack into a chargable missile that pierces enemies and deals more damage. Generally not worth it. Void Blast is easy to confuse. There's a similar skill for advanced Mystics with the same name. Don't accidentally put points in the wrong one if you advance! The Sorceress Void Blast is level 9 and is a long-ranged black hole. It's a neutral-element explosion with good damage and knockback, and is a taste of the Mystic subclass. Good to level early on! Power Blink is an enhancement to Blink that you unlock at level 19. All it does is allow you to use Blink while paralyzed. Shock Wave is level 12 and neutral element. It is a short-range blast centered around yourself that knocks enemies a good distance away. Very useful for escaping enemy mobs. Leveling it does NOT decrease cooldown — it only increases damage. Aerial Evasion is learned at level 16 and is invaluable. When you're launched in the air, press the jump button to recover and land on your feet, ready to attack or escape as need be. Leveling it decreases cooldown and is very important. Mental Fortitude is level 20 and has a simple effect: it increases your max MP by a percentage which increases with each rank of the skill. Only really useful if you find yourself running out of MP or if you have SP to spare. It's the prerequisite for Attuned Mind. Mana Flow is a level 35 buff that lasts for 60 seconds. It decreases your mana consumption by 20 percent. Very useful and worth having. Health Bolster is level 20 and does for HP what Mental Fortitude does for MP. Less useful for Sorceresses because if you're getting hit, 3 percent extra health won't help. Attuned Mind is level 30 and increases your MP Regen rate by a percent. It's a useful skill if you have the SP to spare for it, but you might find yourself using potions instead.